Tampa is a city of historical significance in Florida Which is located on I-75 on west coast. Spanish ere the first settlers after the extinction of natives. But in the first quarter of 19th century, Americans purchased state of Florida from the Spaniard and science the had authority over this state. 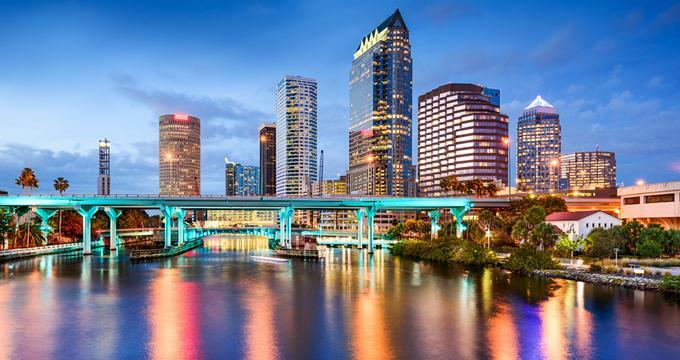 Tampa is a city with a large population and it is the favorite place of resident of most of the Americans. It has the best weather conditions for the tourists and travelers. That is why it is favored by locals and tourists to spend summers in Tampa. Tampa is a major city located in Florida. There are many family friendly places to explore in Tampa, Florida for locals, tourists and travelers. Adventure Island is a water theme park located northeast of Tampa, Florida. The park features 30 acres of water rides, dining, and a lot of other attractions for families and couples. you can stay here for the whole day. If you are tired in and you want to relax your mind and body then Adventure Island is the ideal place. It can also be said that Adventure island is one of the family friendly places to explore in Tampa, Florida. Big Cat Rescue is an ideal choice if you want to enjoy the company of our Fe Lion friends. All Species of big cat kingdom are here for the entertainment of the locals and tourists. This is a very unique institution. Its basic purpose was to rescue abandoned and injured wild big cats. Efforts have been made to protect these beautiful wild creatures. It is a sanctuary for all the big cats. This the favorite place of the children . Children love to see all kinds of wild cats in one place. There is also a possibility to gain useful knowledge from this place. In other words. It is also a experience for the children of wild real wild life of the jungle. All the visitors and critics agree on one fact that Big Cat Rescue is one of the family friendly places to explore in Tampa, Florida. Dinosaurs have been extinct for millions of years. But human beings were always curious how they looked alike. What was the size of these reptiles? What was the level of their touristy? What kind of habitat they were used to live in? Children always fantasize these ancient beings. Dinosaur World, which is located in Tampa provides a very good opportunity to the children of all ages to learn something from this amazing place. Over 150 life-size dinosaur sculptures created by Christer Svensson are part of the exhibition. Real Dinosaurs skeletons are also a part of the exhibits. There is also a chance that children excavate a dinosaur skeleton from the site and take it home with them. It is a public park and there is always something for every one who decide to take a trip of place this place. Explore Disney in One day, Can it be done?